Since the start of this season’s American Idol I have been posting every Wednesday about the contestant Jena Irene. 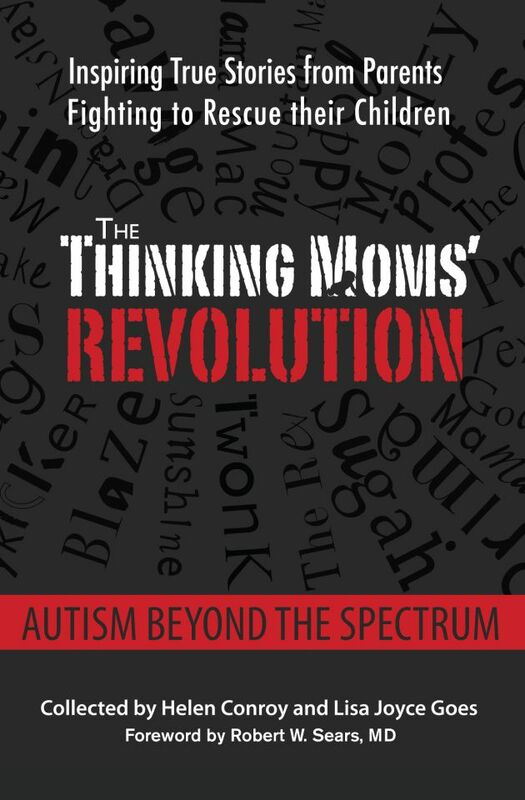 A few people have made comments on our FB page that our forum is not the place for this type of posting, but many of our followers have asked, “Who is Jena Irene and why all the support?” “What is the connection between The Thinking Moms’ Revolution and Jena Irene?” So I thought I would tell you the story of my connection to Jena Irene. Jena is my third cousin. Her mom, Julie, is my mentor and a woman who has inspired me throughout my life. I am going to get a bit sappy and emotional, so please bear with me . . . Julie has always been there for me. She helped me get my first job out of college. She has always been a great listener and has given me great advice. And when our book came out, she sent out our press release to every contact she has and worked very hard to helped me promote our book . . . Why? Because that is the type of person she is. She is a THINKER! She believes in TMR, and she believes in what I am doing. She sees the struggles that I have with my son and how so many people struggle with their sick children. She is compassionate and has such a huge heart. Julie’s entire family (need to give a shout out to Jena, Nick, Debbie, Scott, Joel Amy, Aunt Emma and Uncle Joe) have supported me and are always so kind and loving toward my son. 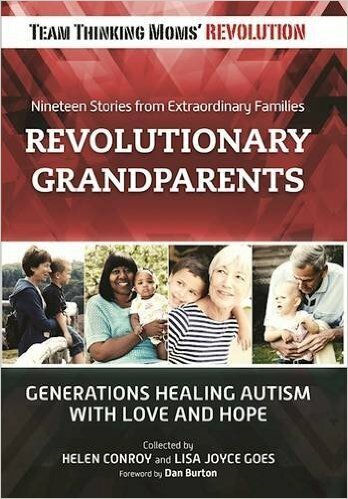 In the autism world, it can be a struggle with relatives, but not with this bunch. Julie lives for family gatherings. She is our family party planner! Every October she has a pumpkin carving party, every May she has a Cinco de Mayo party, and she always tries to get the families together during the Christmas holidays. At these gatherings, besides the great Italian food and vino – lots of vino! – we love asking Jena to break out her keyboard and sing for us. The very first time I heard Jena sing, if I remember correctly, she sang Alicia Keys’ I keep on Fallin. I knew then, as everyone else has who has heard her sing, she would someday become a famous recording artist. Julie called me one day and said, “Hey, I think Jena’s got some talent here. Do you know anyone with a recording studio? Jena would like to record her songs and make a CD.” It just so happens that we did have a friend with a recording studio. They got together, and Jena cut her very first CD with all songs written by Jena. Many don’t realize that Jena is not only an amazing singer but she is also an incredible songwriter. I can’t wait for America to hear her songs! The next thing we knew is that Jena had joined a band called Infinity Hour. We went to several of their shows, and they were jaw-dropping amazing. After every performance, we’d spend the whole car ride home talking about how amazing her voice was and how talented she was. Last August, Julie called me to tell me that Jena had tried out for American Idol and that she had made it through to Hollywood! Out of 8000 people who had auditioned in Detroit, she had made it through. No shock for me. I knew then she was going to win! Jena advanced, and then it was time for American Idol to go live and the voting to begin. I asked my fellow Thinking Moms’ if I could post about Jena and ask our readers to vote for her. Of course, they were all in and said, “Go post it on our Facebook page.” That is what I love about TMR: We are family, and we support each other with everything. Last Thursday, May 15th is a day I will never forget. 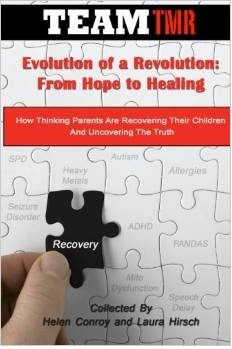 Team TMR , our new nonprofit launched the book Evolution of a Revolution – From Hope to Healing: How Thinking Parents are Recovering their Children and Uncovering the Truth, AND on American Idol Jena made it into the top two. I was on my computer with my TMR family celebrating our latest book, and I was online with my family celebrating our Jena making it into the top two on American Idol. As I watched American Idol, I saw my family on national TV celebrating Jena’s hometown visit. I was overwhelmed with tears of joy. I couldn’t be more excited for Jena. She has worked so hard to get to this point. I’m flying out to Hollywood to join the rest of my family to support her in this incredible moment. TONIGHT American Idol airs at 8:00 PM, and Jena will be competing to be our next American Idol. I am asking all of you to please watch and vote for Jena. She is such an amazing artist. I love her and know you will too. For more by Snap, click here. This entry was posted in Blogs by Thinking Moms' Revolution, Snap TMR and tagged American Idol, Jena Irene. Bookmark the permalink. 4 Responses to Snap and Jena Irene Go to Hollywood! Yeah Jena and fam!!! 🙂 GO JENA GO!!! TY, for sharing! I am proud of Miss Jena Irene and Miss Malaya Watson! It has been so great to see two talented young ladies from the Farmington Hills/Southfield area where I live, go on to American Idol and show the world what they have. Malaya came back to Southfield and was just as bubbly as the day is long! She is so inspiring to the younger musicians coming up from Levey Middle School (her former middle school) where my daughter is in the award winning marching band. She comes by to mentor the band. Now that Jena Irene is the only one left representing our area of Michigan, she has my full support! I am so excited for her and I wish her the very best! Jena is our favorite! Thank you for sharing your story, your pride and your love! Congrats on all the success for everyone! And congrats on having such wonderful people in your life!